Welcome to our first newsletter of 2012. With the New Year already well under way, we trust you are excited about the possibilities that the rest of the year holds. Ascent Technology is certainly looking ahead to an interesting next few months, as we continue to develop our relationships with you all, building on what was a strong 2011 with an even more successful 2012. Welcome to Ascent Technology’s third newsletter for 2011. As we move towards October, things are warming up in more ways than one. It is interesting to note that with summer having finally arrived, Ascent’s people find themselves spending more time indoors than outdoors, as we work overtime to deliver to our customers’ needs. Welcome to the latest edition of our newsletter. As we reach the end of our first quarter, we can reflect that the past three months have been challenging, both for us as Ascent and for our customers. This sentiment is mirrored by the latest South African Chamber of Commerce and Industry Business Confidence Index. Welcome to the final Ascent newsletter for 2010. As everyone gets fully into the holiday mood of the Festive Season, we feel that the end of year presents the perfect time to reflect on the recent past and consider the future year. 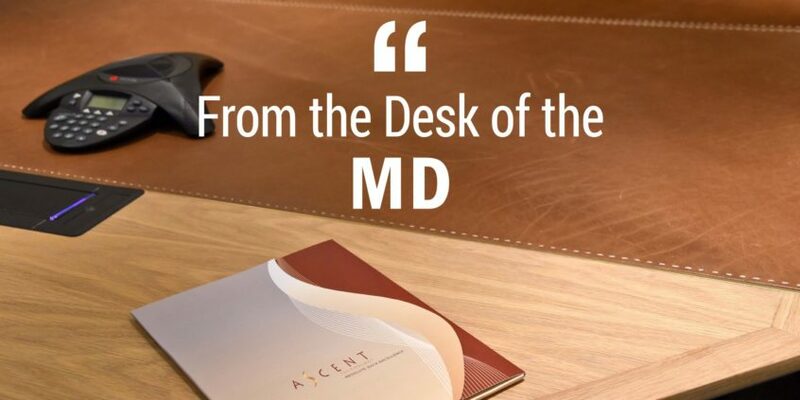 Welcome to the latest Ascent newsletter. We have reached the half year mark for our organisation and it has been truly fantastic. Business has continued to improve and we believe we are only going to get stronger throughout the rest of the year. Welcome to our first newsletter for the new Ascent financial year. While the recent past has been challenging for all of us, we at Ascent believe that the corner has well and truly been turned. With that conviction comes an invigorated anticipation of the new challenges which lie ahead.